SKAM consist of Steve Hill – Vocals / Guitar and occasional Wyld Stallions aficionado, ‘X’-Ray Peverill – drums, and Matt Gilmore – Bass, and most frenetic purveyor of his kind in rock today. Its been about 3 yrs ago since I was grabbed by the ears and introduced to their music when they supported someone or other in Manchester. Any who, SKAM are the in you face band who wear their influences on their sleeves, round their neck and knitted into beanies – from Sabbath, Priest, Maiden and DC – but with a tidy infectious groove, riff laden rock. The lads have recently done a Dan Reed and embarked on a living room tour, where you can get Leicester’s finest to (most probably) rock your foundations. I’d go for SKAM any day of the week as Dan Reed charges a small fortune! 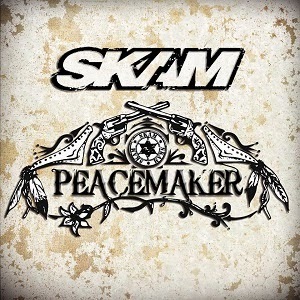 SKAM’s debut was a very promising one indeed, so is Peacemaker a decent follow up that will take them to the next level? Without getting into too much detail the first few songs pass by without any incident or excitement! Opening intro ‘Langundo’ (meaning Peaceful) is a tribute to spaghetti westerns; ‘Make You Pay’ and ‘Rivers’ are decent enough but it’s only when you get to ‘Holy City’ that the SKAM ante is upped. The choice of ‘Holy City’ as the single to tie in with the album release is a wise one as its groove certainly is a sit up and listen moment. It has a nice underlying bass riff with a chugging guitar riff setting the pace. Its when you get to the title track that it shows that SKAM have what it takes and the whole process – construction, style, groove – shoes that they are coming into their own as a decent rock band that’s going places. ‘The Wire’ is the longest track on Peacemaker and has a certain anthemic quality to it. Couple this with some great guitar playing from Hill and it’s a killer. 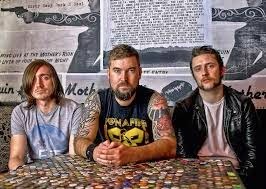 ‘Fortune Favours The Brave’ again feature what is becoming the SKAM groove. To be honest there are times when you wonder if it’s a 3-piece you are actually listening to as the production and overall sound is boosted beyond what you would expect. ‘The Prince again has a Tool vibe to the guitar riff and powers along at pace. ‘Precious Stone’ is probably the closest SKAM come to showering us with a ballad, but hold on there…it still comes with some balls out guitar playing. ‘The Zone’ is about trying to write a hit song, trying to get in ‘The Zone’. Lets Get Rocked’ is a simple rock tune (now’t wrong with that!) in the style that Bonafide would be proud of. ‘More Or Less’ takes me back to Communics ‘Under A Luminous Sky’! 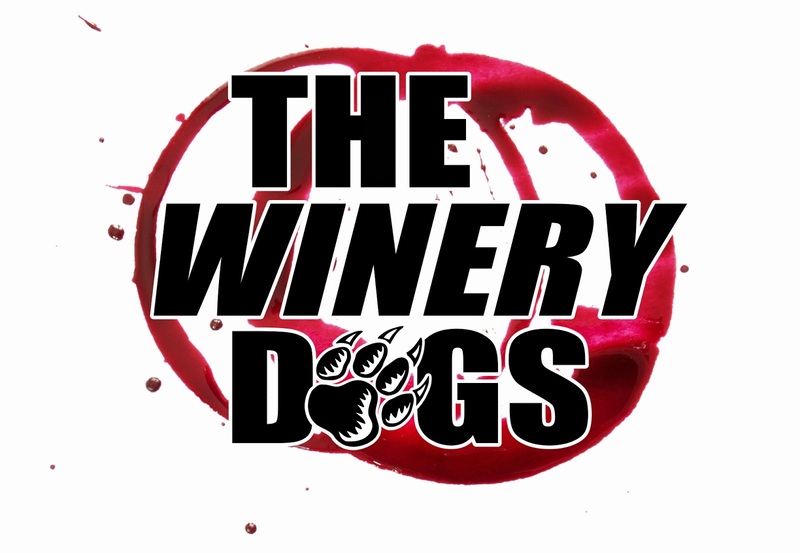 SKAM are high up the list of 3 piece bands plying their trade and sit amongst some quality luminaries such as Rush, The Winery Dogs, Kings X & Communic, and you cant say fairer than that. Despite my early misgivings, SKAM still have an album of undoubted quality on their hands. You can buy this album from Amazon (other stores available) for the measly sum of £5.99. What are you waiting for…..? My only gripe is with iTunes. These fuckers labeled it as ‘Dance & House’. Knobs!